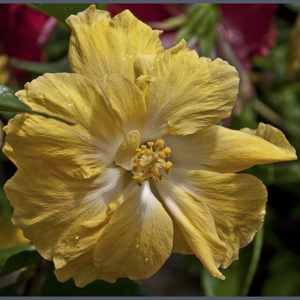 Fijian hibiscus with clear golden yellow full double blooms. Water generously in summer, cut back in early spring for bushiness & flowering. Prefers full sun, well drained & frost free position. Strong grower.